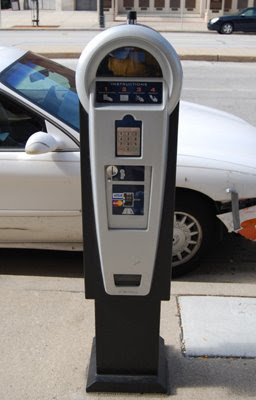 A couple years ago, the city started to replace traditional coin-fed parking meters with a machine for every eleven spots or so. Called Luke, you plug a number for your spot into the machine, and pre-pay your time for the spot. It's convenient to use, as you don't have to fish around for change. It takes credit and debit cards, cash, and yes, even coins. There were some complaints of machines being down as the system was rolled out, but it seems to be working well every time I need it. Thanks for posting this. I thought the machines only took plastic.... nice to know they take changes as well! Karl, your last name wouldn't happen to start with an H would it? Just to clarify...Luke takes MasterCard & Visa debit and credit cards, and it accepts coins, not currency. The convenience is great!